The Network was a failed project that I had worked on as a free-lance Level Designer and UDK Kismet Scripter, and as an Unreal Engine 4 Blueprint Scripter when the project transitioned from UDK to Unreal Engine 4. 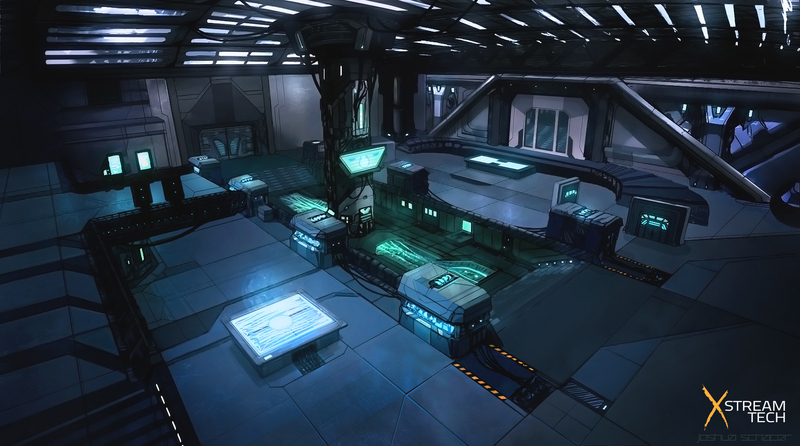 Before the project and team was disbanded, we were able to complete two different levels for the project; the Space Station and the Subway. Outlined in this section of my portfolio is what the game was aiming to accomplish and it demonstrates what was completed during the two year period of development with colleagues around the globe. This version of the level layout for Space Station contains information that displays the upper locations of the central area, and the flanking options on both sides of the map. This version of the level layout for Space Station contains information displaying the flanking options on the left and right hand sides of the map. This version of the layout is the base of the Space Station level. It does not contain visuals of the flanking options on the left and right sides of the map.